When New York officials subpoenaed firms that have interests in private equity purchase of fixed annuity companies, it raised an alarm, as well as a lot of concerns. Uncertainty may follow the news that New York officials have subpoenaed several firms that have interests in private equity purchase of fixed annuity companies or businesses. Does this mean that there something wrong with those deals? The New York Department of Financial Services (DFS) sent subpoenas to six private equity firms with interests in the fixed annuity business. The firms are Apollo Global Management, Guggenheim Partners, Harbinger Group, Goldman Sachs Group, Global Atlantic Financial Group and Tiptree Financial Partners. The subpoenas are a precursor to a DFS move to develop enhanced regulations concerning private equity company ownership of annuity carriers, sources said. The goal is to put guardrails in place on such deals, not to prohibit private equity ownership of insurance businesses, the sources added. Benjamin Lawsky, DFS superintendent, foreshadowed these plans when he said in a speech in April that “DFS is moving to ramp up its activity” in modernizing its regulations in this area. One reason is the sudden growth in private equity activity in the fixed annuity business. Private equity-controlled insurers now account for nearly 30 percent of the indexed annuity market, up from 7 percent a year ago, Lawsky said. In addition, private equity now represents 15 percent of the total fixed annuity market, he said, noting this is up from 4 percent a year ago. At issue is not only the rapid growth but also the short-term focus that the DFS believes some private equity firms may have. This suggests that DFS’ action may have been preemptive in nature rather than a reaction to a major problem or crisis. It appears that New York is on a mission to bring greater oversight to deals in which private equity firms buy fixed annuity companies or books of fixed annuity business. Does that mean that DFS has decided private equity firms are “bad” for the annuity business? At this point, it does not seem so. More than likely, DFS is doing what regulators basically do – that is, lay down regulations when they spot potential risks in emerging business areas. Usually, state insurance regulators leave a new trend alone while it’s in the incipient stage. But when they notice a lot of firms getting into the new thing, or a lot of business flowing in the new direction, they perk up their ears. In this particular case, the insurance industry is a bit confused over the increased interest that private equity firms are showing in annuity company ownership. 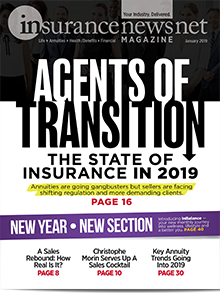 Many practitioners say they just don’t know enough about such firms to make business decisions concerning the insurance companies the firms buy, even if they’ve known and worked for the carriers for years under different ownership. 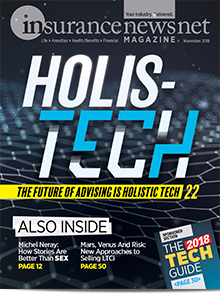 Some of the annuity industry’s confusion stems from the stereotype that industry professionals have of private equity companies. This is the expectation, deserved or not, that these firms will do “just about anything” in order to increase profits for their investors. 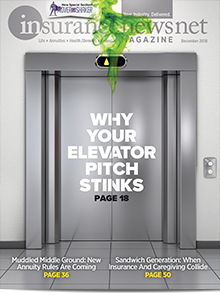 That image grew large in the wake of the controversial leveraged buy-out (LBO) deals of past decades, when private equity firms made headlines for buying, stripping and flipping companies and/or burying their underperforming acquisitions, seemingly done with little or no concern for customers, employees, vendors, community or other vested interests. The confusion arises because certain private equity firms now have owned fixed annuity businesses for one to three years or more, and they may own more than one carrier plus some existing books of business acquired elsewhere. This means industry professionals now have access to industry buzz against which to weigh their previous preconceptions. A consideration here is that loans from banks have been hard to come by in recent years. So if a private equity firm provides funds that banks could not or would not provide, and if good things start coming about as a result, is the private equity deal so bad after all? 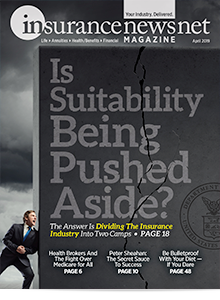 Would the client be better off with placement at the private-equity-owned insurer than at an insurance company with more traditional ownership? Is the more traditional company arrangement really more predictable? Then again, what is the likelihood that the private equity company might turn off the money spigot as quickly as it turned it on? Or what if the company uses the spigot to enhance annuity interest rates or bonuses in ways that woo market share but ultimately create a book of business that is unsustainable? Those are only a few examples of the questions that are floating around. Will New York’s inquiry help with any of this? Maybe and maybe not. 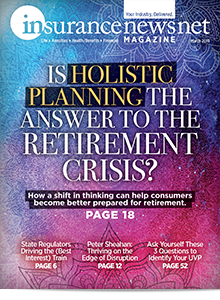 The regulations the state is proposing to develop may bring forward more information about private equity activity in the fixed annuity business, and that could bring some clarity. Whatever the outcome, the investigation could have repercussions elsewhere. 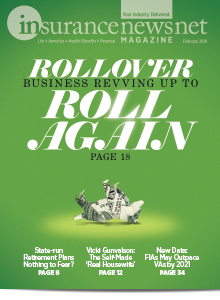 New York is a major state for insurance regulation, and many other states follow its lead. However, the opposite is also true, with some state regulators quipping that they will do the opposite of whatever New York does. Let the games begin.